I suppose that some of this information might be considered spoiler territory, so reader beware. 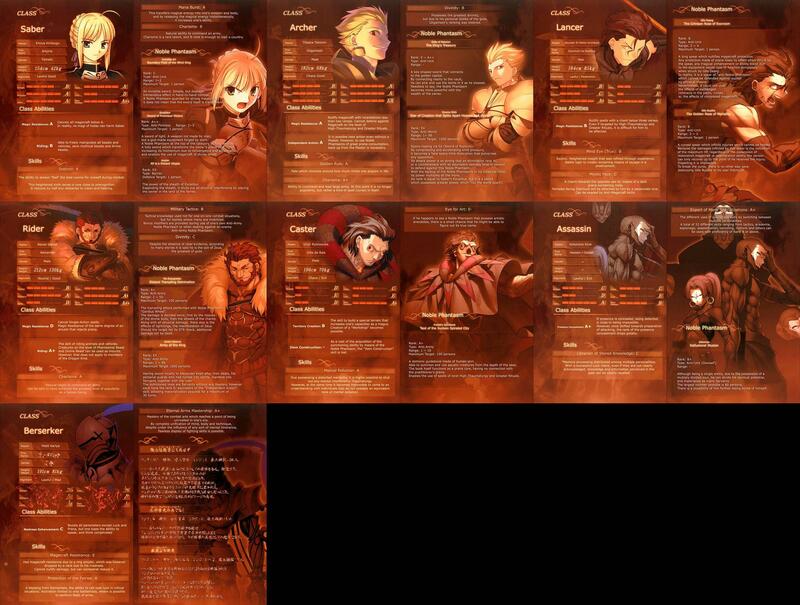 As spotted on Reddit.com’s Anime subreddit, this is a (mostly) translated collection of the statistics sheets for the various Servants featured in the novel turned anime Fate/Zero. It’s always fun to see quantifiable, if arbitrary, numbers put on on our favorite heroes and villains. The gorgeous design and artwork sure doesn’t hurt either! Get in on the discussion over at the original Reddit post.